Editor's note: This is # 16 in a series of posts by Dennis Horne about collectible books. The introduction is here. In the 1960s Duane Crowther published (through Bookcraft) his expanded BYU master’s thesis as Prophecy—Key to the Future. The work included fairly specific designations of time periods and sequential events that he believed were associated with the future and the second coming; even a chart on the end-sheets laying it out. This book sold phenomenally well, instantly placing Crowther at the pinnacle of the world of LDS doctrinal writing. His second book on the prophecies of Joseph Smith also enjoyed considerable success. This sales windfall allowed him to establish his own publishing concern, Horizon Publishers & Distributors, a modestly successful company (eventually combined with CFI and then dissolved) located in Bountiful, Utah. 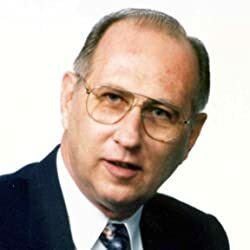 At one point he was enabled to say, with Cleon Skousen, that they were the only two authors in Mormonism able to make a living solely on the strength of their literary works. Because the books sold so well they began to have a substantial influence on the doctrinal thinking of Church members—who asked for and received counsel from Church leaders on how to view such writings. “One more matter: There are among us many loose writings predicting the calamities which are about to overtake us. Some of these have been publicized as though they were necessary to wake up the world to the horrors about to overtake us. Many of these are from sources upon which there cannot be unquestioned reliance. “Are you priesthood bearers aware of the fact that we need no such publications to be forewarned, if we were only conversant with what the scriptures have already spoken to us in plainness? “Let me give you the sure word of prophecy on which you should rely for your guide instead of these strange sources which may have great political implications. “Then read the 45th section of the Doctrine and Covenants where the Lord, not man, has documented the signs of the times. “Now turn to section 101 and section 133 of the Doctrine and Covenants and hear the step-by-step recounting of events leading up to the coming of the Savior. “Finally, turn to the promises the Lord makes to those who keep the commandments when these judgments descend upon the wicked, as set forth in the Doctrine and Covenants, section 38. “Brethren, these are some of the writings with which you should concern yourselves, rather than commentaries that may come from those whose information may not be the most reliable and whose motives may be subject to question. And may I say, parenthetically, most of such writers are not handicapped by having any authentic information on their writings” (Conference Report, October 1972, 128). Some have thought that Cleon Skousen’s Prophecy and Modern Times, and Gerald Lund’s The Coming of the Lord were also targets of this counsel.